I want to make interesting posts so that i don't just blog for the sake of blogging. I want to blog for the sake of sense. Right? nagsulat na nga lang tayo hindi pa natin sinulit di'ba?. I am very much planning that my next post is about the recommended horror movies for this Halloween, actually that should be inspired from Will's post. But since last night actually until this morning, i attended a retreat, I want to share the things that I've learned from this retreat. Well, of course to educate everyone, the Christians most especially that in our world, Satan is just everywhere and does his very best to keep us away from God. In that retreat, na pa-morningan wala talagang tulugan, fresh from this morning, we went to different lectures. 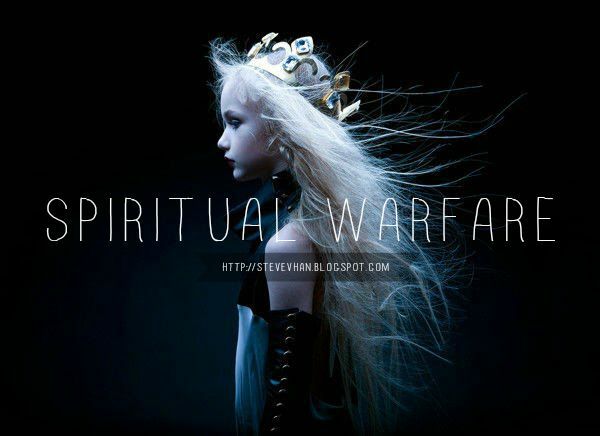 The one that really caught my attention is about the spiritual warfare, This is also the reason that i kept awake, ahahaha, and is very much relevant to Halloween. Do you know that most of the symbols in the world today are actually originated from Satanism? This is something that we should believe cause this is not just gossips, i got this from our church, and is very much confirmed that it is from Satan. Here are some of the most common used symbols. And in case you're aware of it, better quit on this. 'Cause me, after knowing about these signs, i already backed off!. 1. 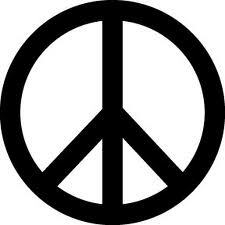 The Peace Sign - Well, though that this symbol and it's purpose is to spread love and peace. This is STILL from Satan. Satan manipulates people. If you search wiki, it says that is is from christian something, but is actually not. The V sign represents some sort of Satanism. This is just one of Satan's manipulation to us. If you want to know more, Click this to go to link. 2. The I Love yOu, Y/Hello, and Ok Sign - When you Google these images, you can easily see that these signs are linked to Satanism, there are even pictures showing Satanism. The I love you sign, is used by many of us, i even love this sign, but we don't know that this is actually a work of Satan. Ok sign. Many of us know Lady gaga right? Now, i am more convinced that she is into Illuminati. In most of her music videos, you can see a lot of Illuminati symbols and satanism. This OK symbol is mostly used by her, she puts this on her eye symbolizing the one-eye which is also from satanism. The Hello symbol is also a part of it. I think this three hand signals are connected to each other, remember the Telephone of lady Gaga?see?she is using this symbol. 3. The Zodiac Signs - Who doesn't love zodiac signs? Sometimes, most people believe on this and use the zodiac reading as their everyday reference and source of good luck, but yes, this is satanism. I suggest you quit from fortune tellers and lucky charm stuffs. I love these stuffs before, i even consult to fortune tellers, but after this retreat i realized my mistakes. I don't know if numerology is part of satanism's practices but id better out from these and just believe on God alone. Here's the Link of proof. Trivia: Did you know that the song Hotel California is actually the theme song of the church of satan? Kindly google up the lyrics and check the lyrics of the song. You would truly understand everything. Our world today is full of things that may deceive, convince and influence us in doing things that may end us up into sinning and disappointments. The symbols, people or culture indicated in this post might not actually know that they were deceived and used to spread these things. Bottom line is, it is on our choice. Choice to be responsible, choose to stay true, to be aware and to spread goodness instead of evil. Choose to love, and you will never go wrong. Happy Halloween and happy Blogging! Disclaimer: These symbols that i exposed is not intended to manipulate other people's beliefs. I just want to educate the readers especially the Christians who are not aware of these. Still you have your own will and it's up to you if you believe on these. To best of my knowledge, i would stay firm on my belief that this is the truth. Lahat na lang ata ng symbols ginamit na ng Satanists, ano na lang ang natira sa atin para maenjoy ahahaha. haha. natawa ko sa comment ni glentot! Haha, tama ka dyan Glentot!! ang galing ng post mo, informative and though-provoking at the same time. Yaiks! Ganun ba yun? Natakot ako sa backgroung ng vid ni lady gaga...ako lang kasi mag-isa now sa bahay hays! I agree with you that many symbols and symbolism that abounds in the earth are used by satanists or were just hidden symbols of satanists. But these symbols are nothing but symbols if no one believe in those symbols. Ako di talaga naniniwala sa mga fortune tellers o mga doktor kwak kwak na yan eversince. Ano ba yan, ibig ba sabihin e may pagaka satanista si lady gaga? i like lady gaga's songs too. but yung alejandro hindi talaga kasi may nabasa ako about dun. kaya si justin beiber na'issue rin kasi dun sa isang MV nya may triangle sign siya. and yung sign na pa'triangle.. yes, i have read stuff about it. si Rhianna di ba sabi turn into baphomet daw kasi she also used some signs in her MVs. Well, this is shocking. And informative. Now I'm scared lol. As far as the "Illuminati" goes, you're playing into their hands. Any attempt to control a population depends on keeping the people fighting amongst each other, this is achieved by dividing them into groups and sewing seeds of fear and paranoia. The point is to distract you, to make you focus all your paranoia and fear upon your harmless neighbors so that you don't notice the people in power, so that you don't think to look behind the curtain. Believe me, occultists (satanists by your lingo) aren't involved, how do I know? I am one, and I can tell you we aren't organized, we don't scheme and plot, we couldn't care less about the affairs of the political world or about Christianity. Your experience is with Christianity, you all follow the same bible (more or less) you are generally united behind certain view points and you all gather regularly in churches. We aren't, you will rarely find an organized or collaborative group of occultists because we all hold different beliefs, follow different texts, follow different paradigms, and worship different deities in our own individual styles. We aren't interested in subverting Christianity, we couldn't care less about you guys, we just want to do our own thing which effects only us. It might also help if you understood the terminology you're using. The vast majority of people who fall under the pagan/occulist/witchcraft paradigm AREN'T Satanists, and in fact do not even believe in Satan. There is LaVeyan Satanism, which is actually doesn't actually believe Satan exists as an entity, for them Satan is a symbol, they focus on the attainment of physical wealth and fulfillment over spiritual wealth and fulfillment. There are other splinter factions of that which believe Satan is an actual entity. But all in all, those who actually follow the real Satanic Paradigm are a tiny minority of the larger occult community. Unless you're using the term Satanism simply to describe anything that isn't Christian, in which case I suggest you save yourself the time and effort of all your theories and just say "if it aint christian its satanic", much simpler. Wrong, but simpler. We aren't the Illuminati, we aren't your enemy. The enemy has used us as a scapegoat to distract the Christian majority from his schemes as he gains power and wealth right in front of your eyes. "These symbols that i exposed is not intend to manipulate other people's beliefs. I just want to educate the readers especially the Christians who are not aware of these. Still you have your own wills and it is still up to you if you believe on these. " My source is credible. I stand to the information i have given here. I studied them well so i came up with this post. I don't think that the bible has any written symbols about satanism because it states about God's teaching, so it is not the source i used. hmmm...if you weren't belong to the family of God, san k belong??? dalawa lng naman yun. You nid to have a true and sincere relationship to our God through our Lord Jesus Christ. "it is only by Grace that no one should boast." Spiritually speaking, who is your Father? alangan n mang dalawa tatay mo? in short you nid to choose. It is not about religion, it is about true Relationship. You cannot say that is not a SIN, if your not affecting other's lives...nowadays evil act in many faces and more attractive...they act in a way that diverts your mind and heart that lessen your faith in God...if those signs takes you away from God, den destroy it. if you are using it to worship other god, its not too late...say a prayer of Forgiveness and Acceptance...that's how gracious our God is...it is also a matter of thinking..."why use that signs and symbols if just for non sense?" what drives you of using that symbols and signs??? if you want the truth...Read the Bible...and let your heart be changed! steven just stand for what is right! Keep the Faith! "A fact is something that is true or something that has occurred or has been proven correct. " Yes mr. Anonymous, i understand the definition of that same as how i understand that this post is dangerous for this may destroy institutions, beliefs and people. "Note: These symbols that i exposed is not intend to manipulate other people's beliefs. I just want to educate the readers especially the Christians who are not aware of these. Still you have your own wills and it is still up to you if you believe on these. Again, these are not fictions but facts!" I don't want to destroy anyone, anywhom. I JUST WANT TO EDUCATE. Our church is concerned about their youth which is the group that i belonged to, i think after that retreat i was the only one who conveyed the message to people for which i really find it important. Kahit sinong satanist po ang tanungin mu alam nila yan. It makes me wonder, why it seems so hard for you to accept this fact? it's very obvious, ephraim said YOU CANT WORSHIP TWO GODS, so ask yourself are you in God's or not? Pwede niyo naman pong pansinin ang post na ito, pwede nio ding ipagsawalang bahala naman kung sa tingin niyo ay wala akong credibility. I leave to you this decision. Mr. Anonymous, this is not an opinion, this is fact. Opinion is like saying something but have no proofs. HERE I HAVE PROOFS, TESTIMONIALS, THERE, IT IS A FACT. JUST ACCEPT IT! WHY DOES IT SEEMS SO HARD FOR YOU TO ACCEPT THESE? ARE YOU A GAGA FOLLOWER? Go ahead, still follow gaga if you love here music (cause i was). Are you using these symbols? Go ahead, i used them before, if Christ is still above you then there's nothing to worry about, right? these are just symbols, and it's in the user on how will he use it. It could never be a fiction, nor opinion. Please don't debate, i already conducted research on these, IT IS A FACT BRO, IT IS! JUST ACCEPT IT! If in case you still wonder if they are fiction or opinion then, try to do a little read on the links i provided on each symbols! then there you'll find that they are not opinion nor fiction. I have proofs, so therefore IT IS A FACT! ACCEPT IT!!!!! "All content posted on this site is commentary or opinion and is protected under Free Speech of the First Amendment." wala akong pakielam sa mga symbol nayan.. hindi apektado ang buhay ko... kaso ang di ko lang matatanggap na sabihin sayo ang katotohanan na OPINYON lang lahat ng sinabi mo sa POSTE mong ito... SALAMAT... mag aral at magsuri.. Ang kamangmangan ay sugpuin kaya EDUCATE YOURSELF. hindi mu yatang binasang mabuti ang LAHAT NG LINKS NA BINIGAY KO, AT SA ISANG SOURCE KA LANG NAGBASA? HINDI KO MABUKSAN YUNG LINK EH, I DON'T NEED TO EDUCATE MYSELF CAUSE I'M EDUCATED. Even if you search the whole web, lahat ng makikita mung symbols are of facts,IT COULD NEVER BE AN OPINION DAHIL 1 MONTH AKONG NAGRESEARCH ABOUT THIS. Kung may nakita man akong opinyon dun then i would say that these are opinion, at kung opinion man yun, WHY DOES OUR CHURCH HAS TO EDUCATE US ABOUT THESE SYMBOLS? THIKN OF THAT! DONT BE BLIND OK!? WAG MU NANG IPAGPILITANG OPINION YAN KASI KAHIT SINUNG OCCULTIST ANG TANUNGIN NATIN ALAM YAN, DON'T BE STUPID OR CRUEL OK? 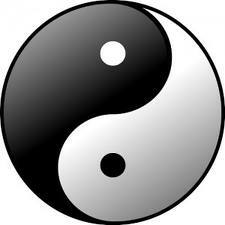 I HAVE BEEN SEEING THESE SYMBOLS OF MOST SATANISM ACTS, IT COULD NEVER BE AN OPINION! PAKIBIGAY NG LINK NG MAAYOS OK? PARA MAKITA KO NA OPINION NGANG TALAGA YUN! I MYSELF, HINDI KO NA KELANGAN ISIPIN PA KUNG OPINION YAN, DAHIL ANG HISTROY ITSELF, MUSIC INDUSTRY HAS BEEN USING THE SYMBOLS, WITNESSED KO NANG SILANG LAHAT SO I KNOW! IF FACT SILA OR OPINION LANG! HINDI MU LANG MATANGGAP, YUN LANG! AT NAKAKAAWA KA! SATING LAHAT IKAW ANG BULAG! HINDI KAMI! ALAM LAHAT NG CHRISTIANS YAN, MARAMING NAG-AGREE SAKIN DAHIL MAY MGA IBA'T IBANG RELIGION AT CHURCHES AKONG NAKAUSAP ABOUT THE SYMBOLS AT THEY CONFIRMED IT! OK? MADAMI AKONG SOURCES HINDI LANG PO WEB, MAGHANAP KA NG SOURCE MU NA HINDI TOTOO AT HUMOR LANG ANG MGA SYMBOLS NA TO, THEN PROVE IT, THEN I'LL BELIEVE IT!!!! IKAW ANG DAPAT MAG-EDUCATE SA SARILI MO! "hindi mu yatang binasang mabuti ang LAHAT NG LINKS NA BINIGAY KO, AT SA ISANG SOURCE KA LANG NAGBASA? " OK ka lang? ehhh numbers 1,2 and 4 mo nasa isang website lng. that says "All content posted on this site is commentary or opinion and is protected under Free Speech of the First Amendment." sana malaman mo ang Fact at Opinion ay magkaiba... last message ko ito salamat. ohhh nga pala peace na.. 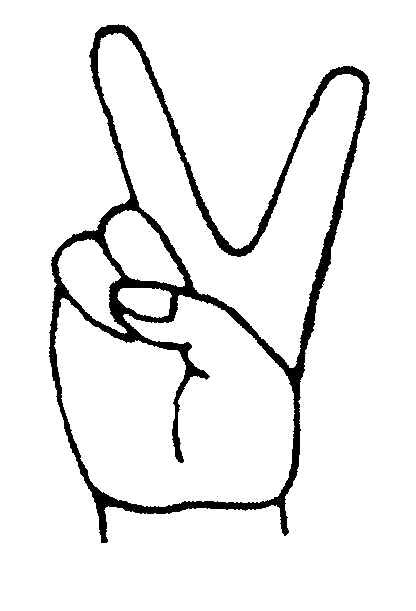 I will use ^.^V sign for peace :P di nmn ako apectado nyan kasi I dont worship satan .. kaaway ko sya. 1.hindi ko mabasa saang part ang "commentry...free speech something"
2. Yung links hindi working. Anyway, YANG MGA SOURCES LANG BA NA YAN ANG BASEHAN MO PARA MASABI NA OPINION LANG ANG POST NA ITO? AT HINDI FACT? INUULIT KO, HINDI KO LANG SA WEB NAKUHA ANG SOURCE KO DITO, MAY NAKAUSAP AKONG MGA TAO, SIMBAHAN AT NAWITNESS MISMO. KUNG ANG MGA WEBSITES AT LINKS KO LANG ANG BASEHAN MU PARA SABIHIN NA FICTION OR OPINION LANG ANG SINASABI KO, WELL, HINDI KA MAAYOS NA READER. MAGBIGAY KA NG FACTS NA HINDI TOTOO ANG MGA SINASABI NG POST NA ITO THEN SAKA MANINIWALA ANG LAHAT NG NAGCOMMENT DITO, MAGING YUNG OCCULTIST NA COMMENTATOR NG POST NA ITO A HINDI TOTOO ANG MGA BINIGAY KO NA FACTS. INUULIT KO PO, BINIGAY KO ANG LINKS TO HAVE A LITTLE SOURCE PERO BUKOD DIYAN HINDI LANG ANG WEB ANG SOURCE KO KUNDI TAO, SIMBAHAN, HISTORY, AKO AT ANG MGA EXPERIENCE KO. SANA SAPAT NA ANG MGA SOURCES KO PARA SABIHIN NA HINDI LANG PO OPINION ANG BINIGAY SA POST NA ITO KUNG HINDI FACTS AT EXISTING TRUTH! SALAMAT SA PANAHON!!! base on what you have said, I think walang concrete basis ung nire-raise mong argument. In my studies as a reformed student, some Christian close their doors or should I say it in this manner that there are Christians who just absorb what some pastor or church leaders have said. as a Christian, IKAW mismo ang sumuri ng mga naririnig mo, nakikita mo, o nababasa mo. God has given us the capability to think critically. for what you are talking about will not be able to win an argument. kung gusto mong patunayan ang cnasabi mo, IKAW mismo, aralin at suriin ng mabuti ung material na ginagamit mo. we're now in the 21st century, Christians these days are using contextualization and this idea differs from one another -- differ from one's culture. be open minded. be critical and analytic. HINDI LAHAT NG BAGAY RELATED KAY SATANAS. okay? :) tao na lang ang gumagawa nito. tao na lang ang nagrerelate nito. di ako against sa pagbibigay ng idea na buksan ang isipan ng ibang tao pero Christian ka po, ikaw mismo dapat marunong mag isip. Magbasa nalang tayo ng bible at bulay-bulayin ang mga salita nya,dahil nasa biblia lahat ng kasagutan sa ating mga katanungan,ok ba yon mga kapatid? Godbless!